Oppo teased the revival of the Find series last week. The upcoming Find X will arrive as a true flagship, meaning it is most likely to come with a high-end chipset like the Snapdragon 845, a screen with at least WQHD resolution, and a dual camera. 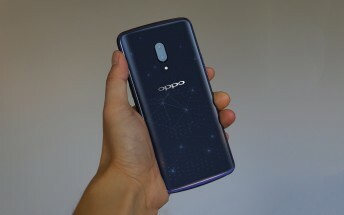 The latest leak from Weibo gives us a sneak peek of the Oppo Find X back. The phone will have the cam setup in the middle of the back, accompanied by an LED flash below and the company logo. There is no fingerprint scanner, suggesting it might be on the front or could be missing at all. Oppo is staying silent on details, but there are already speculations about 8 GB RAM and 256 GB storage. 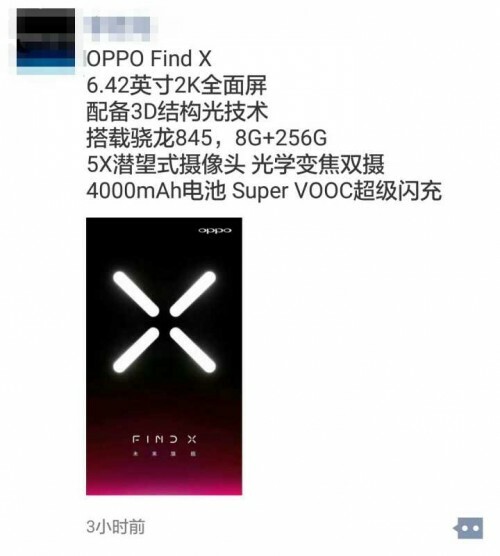 The Find X might have a battery capacity of 4,000 mAh with SuperVOOC fast charging. Other rumoured specs include 3D facial recognition and 5X optical zoom, but they sound more like a whim, so don’t take them for granted.